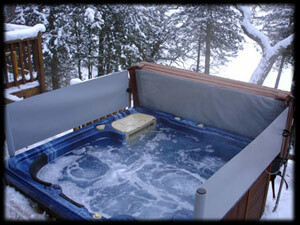 ALL covers are CUSTOM MADE to fit your Hot Tub! 3) Use reflective material underside. More resistant to chemical degradation than vinyl. Only $10 - or FREE with the first two options! 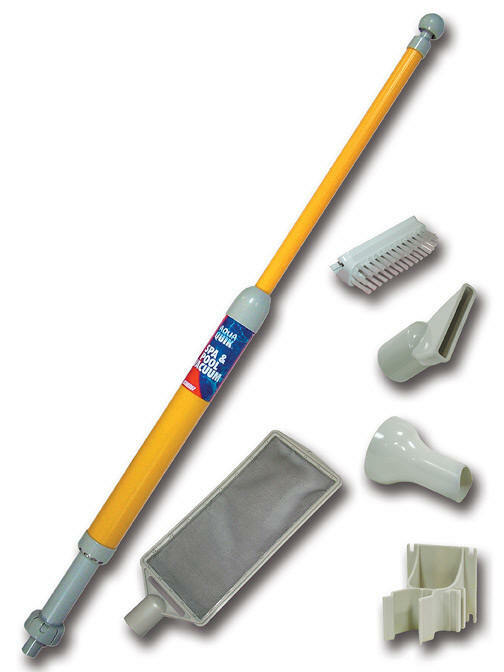 Standard shapes & sizes up to 96"
Great easy-to-use vacuum. NO batteries or water hookups. Totally self-contained. Just pull up on the handle & watch the dirt, bugs, leaves, pebbles & other "stuff" get sucked up into the easy to clean filter. 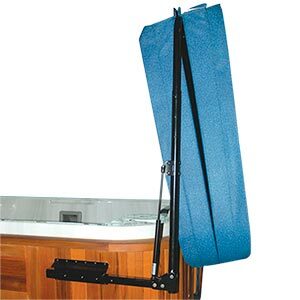 The standard spa cover lifter will fit virtually any size or style of spa. Square, rectangular, octagon and angled- corner spas. 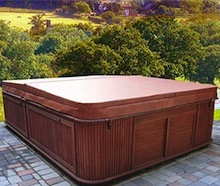 Even traditional wooden and the latest portable spas. The standard works on free standing or built - in deck spas in the tightest of spaces. The patented sliding bracket lets you mount your standard lifter to the deck, patio or directly to the side of the spa and adjusts to fit into the tightest spaces. Adjust the open cover height to your liking – high for greater privacy or low for an unobstructed view. The standard lifter is light and easy to use and makes it simple for one person to open from the outside or inside the tub with minimal effort. Removing your spa cover has never been easier! The dual gas shocks provide extra lift assistance to the high-quality powder-coated aluminium construction. 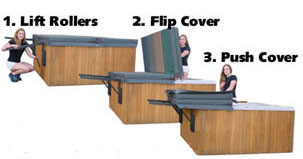 Lifts your spa cover up and stores it in the back of the spa requiring only the width of your folded cover for clearance while providing a privacy screen. Easy to install mounting assembly attaches directly to the spa at the top. If you want to enjoy your spa with a minimum of effort, the Cover Basket is for you! No more wrestling with heavy covers or straining your back from awkward lifting. And no more waiting for someone else to help you! With just two simple steps, one person can easily remove and replace their spa cover. 1. Fold the spa cover in half and slide onto support arms. 2. Push the spa cover downward into it's stored position. The Cover Basket is a premium spa cover lift that defines versatility and effortless cover removal. The powerful gas spring makes lifting and lowering your spa cover easier than you ever imagined. •	Gas spring assisted for effortless spa cover removal. •	Stores cover conveniently to the side/rear of your spa. •	Constructed of high-grade powder coated aluminum. •	Accommodates spa covers with up to a 5 ” - 4” tapers. •	2 year limited warranty. Easy to Install and Use. The Cover Basket attaches to the side/back of your portable spa. Once installed, you can remove your cover with ease. 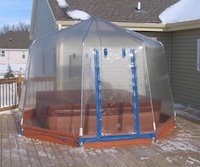 Protect your hot tub or spa from the elements.